The Easton MAKO is considered, at least by us, the flagship bat of Easton and maybe even all of composite bat baseball. Regardless of your ultimate preference, the MAKO is on everyone’s short list of best bats and has, since it’s release, redefined the experience of a buttery impact.<… Jump to the full review. We aren’t the only ones to have information about the Mako. Other places, in particular those who sell bats, usually have a boiler plate write up on the specs of a bat. Many of those we reference to make sure we are seeing what we should be. Here are some more references for the 2016 Easton Mako review. The Easton MAKO is considered, at least by us, the flagship bat of Easton and maybe even all of composite bat baseball. Regardless of your ultimate preference, the MAKO is on everyone’s short list of best bats and has, since it’s release, redefined the experience of a buttery impact. The 2016 Easton MAKO is a top shelf performance bat that changed the game two years ago. It is a two piece composite bat built with an over-sized barrel and a swing weight that gives the hitter their maximum bat speed. As such, we’d argue the 2016 MAKO to be a good fit for just about any type of hitter that isn’t looking for an end loaded bat, prefers an aluminum barrel or wants the stiff feel and honest feed back of a single piece stick. In 2016 Easton EXPLODED the Mako line. There are all types of sizes and shapes (brought on mostly by the TORQ handle and the XL addition). You can find this USSSA version in a 2 1/4, 2 5/8, 2 3/4 as well as any number of drops and XL/Torq iterations. It is seriously mind numbering to keep track of. But, on the whole, the bat is easily recommendable. The 2016 Easton MAKO's origin lies in the neon orange MAKO from 2014. The 2014 version changed the nature of bat marketing, performance, hype and sales and the industry has yet to look back. In fact, we'd argue the MAKO series is the most influential bat the baseball space has seen within the last 5 years and maybe, at least with some hyperbole, ever. The 2014 version, compared to bats of its class, was ultra flashy and strikingly memorable. It's barrel, at the time, was unrivaled in size and, it should be noted, so was it's price. The 2015 MAKO didn't change much from the 2014 version and neither did the 2016 version change much from the 2015. Over the years, the bats are very well reviewed by hitters, come in a plethora of designs and several different models. Other bat companies have tried to close the gap in the last two years and their success is debatable. But no one disagrees that the 2014 Easton MAKO threw down the gauntlet of what a performance baseball bat looks like. Lots of bats try and imitate the Easton MAKO in it’s two piece design but only one, we have found, gets close enough to be in the same class by way of pedigree, market penetration and performance. If you are looking for a top end two piece composite bat with great pedigree, massive market acceptance and proven performance than DeMarini’s CF8 is its only real rival. Within the Easton brand, the MAKO TORQ is a very similar bat—aside from it’s rotating handle. The MAKO XL is also similar in it’s design, market acceptance and prowess but that version has an added end load. We’ve spent 22 hours in total using and researching DeMarini’s 2016 CF8 baseball line specifically, and countless hours swinging everything else. We spent 8 hours evaluating and researching the 2016 Louisville Slugger 916 Prime baseball bat. This year’s version comes with an updated colorway and an improved ‘superskin’ grip. Other than those minor details, it is virtually unchanged from the 2015 Easton MAKO. It is still a top-shelf performance composite built at the edge of allowable limits. The barrel size is still boat-oar like and the amount of opportunity you get to square up a ball with such limited swing weight is only rivaled by the best in the business. Some may claim no upgrades is a lazy approach by Easton for their flagship bat in 2016, but it would be hard to make an argument the MAKO needed upgrading. Since 2014, on the MAKO’s release, the brightly colored bat has dominated little league and highschool markets as much as any bat ever has. 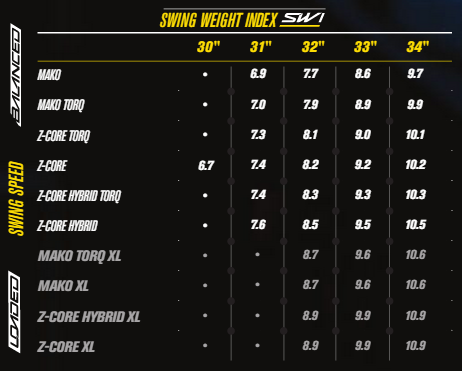 The amount of barrel you get for swing weight is the most on the market (at least in the BBCOR space), it comes in many sizes and is available in every league imaginable. It’s helpful the bat model has a reputation as a downright ball killer.